▶ Episode 4 - SPLAT! The Teutuls are sticking around for at least another year. Discovery Channel today confirmed that a new season of American Chopper is set to premiere next month. 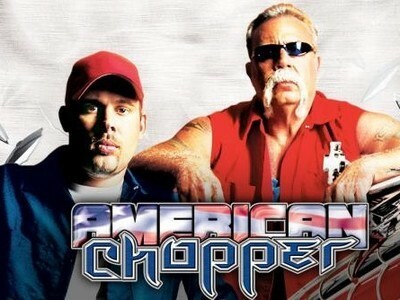 Look for the new season of American Chopper to premiere on Tuesday, February 12 at 10:00pm. This time around, the Teutuls continue to work with world class athletes and businesses in the ever-changing customized bike market. Paul Sr. makes a risky move to take his bike designs in a different direction, while Paul Jr. takes on the challenge of building a streamlined bike for the MLB Network.